He also claimed he was responsible for ensuring that the Serving Overseer of the Latter Rain Assembly, Pastor Tunde Bakare, was not picked as the running mate of Buhari during the build-up to the 2015 Presidential election. Galadima, who spoke in the current edition of The Interview Magazine, said he was the brain behind the alliance between the Congress for Progressive Change (CPC) and the Action Congress of Nigeria (ACN), against Buhari's wishes. He, however, said he was the one who insisted that he would not sign the correspondence to the Independent National Electoral Commission unless Bakare's name was removed. 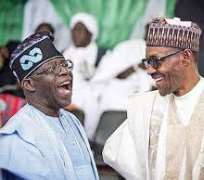 According to Galadima, “Buhari was the one who was against the alliance with Tinubu and I don't want to say anything. Let Buhari deny what I have said. I was for it and I organised it and I wrote a memo and even produced a candidate for the Vice-Presidency, this same Osinbajo. “We were a committee of three: Osinbajo, Sule Hamma and me. Sule Hamma promoted the alliance more than anybody else. It was Buhari that refused. Let him deny before us and we will show him. Whenever you see him, ask him why Buba Galadima said he wouldn't sign INEC's form with Tunde Bakare's name. The R-APC chairman said his disagreement with the President was based on principles and not selfish interest. “If he was raising cattle in Daura, I wouldn't bother about him. I'm criticising him because he's the President of Nigeria and he's not doing very well,” he added.